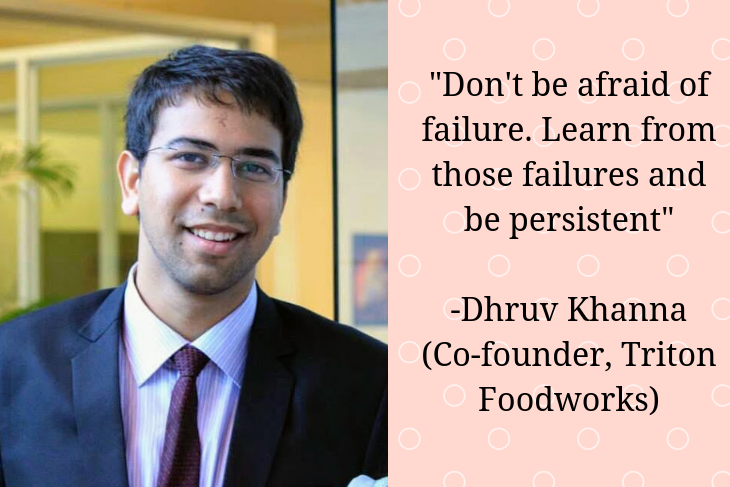 StartupEd had and exclusive interview with Dhruv Khanna, Co-founder of Triton Foodworks . It is the Leading producer of premium quality, pesticide-free, hydroponically grown fruits and vegetables. Tell me a little bit about your company ? Triton Foodworks is a private limited company which we founded in September 2014. 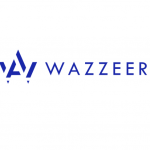 It is a new age agriculture company, focusing on democratizing access to fresh, nutritious food which is healthy for both the consumers and the environment. 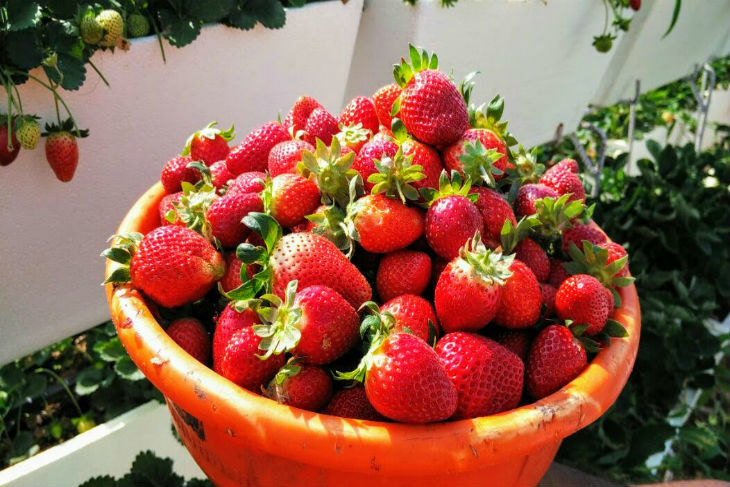 We started with a small Hydroponic farm in Delhi and grew strawberries there. 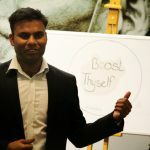 This was our first pilot, where we wanted to test the different techniques and methodologies required to sustain in the Agri-tech sector. Although we faced certain issues with our first crop, the yield was pretty well. We had a steep learning curve and we are still learning. After our first crop yield, we started with a Greenhouse at the same sight. 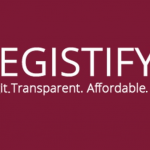 Due to some legal issues with the land, we had to shift our estate to a new location in the outskirts of Delhi. 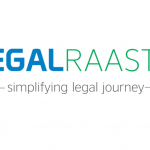 Slowly and gradually, we expanded our venture to Mumbai, Maharashtra, and Karnataka. 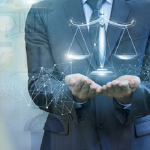 What is the problem set that you are working with? How are you going about solving it? One of the major issues in today’s scenario is the limited availability of water resources. Hydroponics is basically growing crops without soil. In conventional methods of cultivation, there is a huge requirement of fertile lands. Agriculture today consumes more than 70% of Earth’s fresh water supply, uses around 55,000 tonnes of pesticides and other chemicals yearly making it the main source of water and land contamination, and yet the average consumer is eating food which causes them more harm than good. 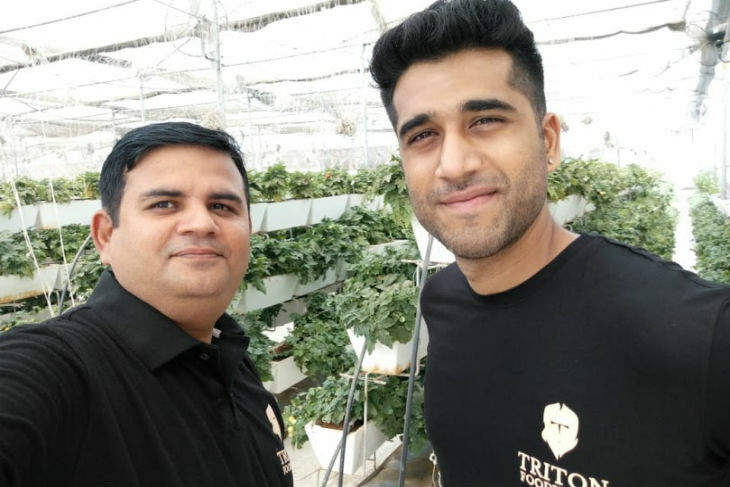 Triton Foodworks is solving for all this, by growing food using Hydroponics – the science of growing food without soil, Ayurveda and Controlled Environment Agriculture. This enables Triton to grow the same amount of food, using 95% less water, 10 times less land, and Zero pesticides, as compared to conventional farming methods. All the produce grown through our technique is in a controlled environment, free from harmful pesticides and we can also do off-season farming. We have big industrial plants at our farm for the water purification and we use purified water for the irrigation purposes. 30% of the water, which is RO rejected, is used for the cooling systems in our Greenhouses. This ensures proper management of resources. 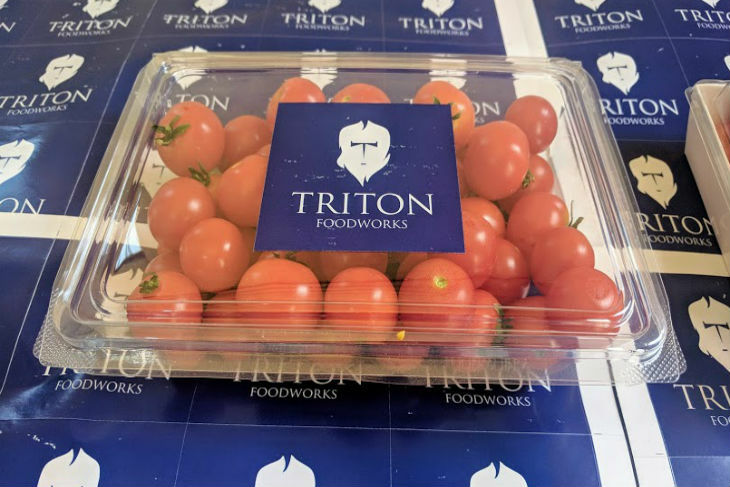 In 3 years, Triton has managed to save approximately 2.5 Billion Litres of water while growing food on over 6 acres of. That roughly translates to the daily fresh water requirements of approximately 18000 people per year, for the last 3 years. Tell me a little bit about your business model. Previously, we used to setup a lot of turnkey projects in Maharashtra and Karnataka. Now we have our own farm where we use the hydroponics technique to grow vegetables and sell it in the market with our own brand name. It is directly harvested to the customers and businesses within a couple of hours. What is the biggest challenge that you are facing right now? The biggest challenge that we are facing is Marketing. Hydroponics is very popular all around the world but in India, the market for exotics like herbs, lettuces are very less. For this reason, we have shifted towards growing fruity crops which are comparatively difficult to grow and the yield is also limited. This the reason why we stopped for consultancy services and focused more on the marketing side. The second challenge that we are facing is funding because hydroponic farming is very capital intensive and hence scaling becomes very difficult. Can you tell me what was your experience with the first customer? In hydroponics, you are giving the plant exactly what it needs. Due to this reason, the yield is much better in the nutritional value and the taste. People usually keep on loving this because it meets their requirements, there is always a difference in the taste, the quality is better and we always get a positive response from almost every customer we have. What is that one advice that you would like to give to all the entrepreneurs who will be reading this interview? One advice for all the entrepreneurs would be, to be persistent and never be afraid to fail. Learn from your failures and make them a lesson for yourself.